With the start of a new year comes promises to become healthier. There are plenty of ways to assess your physical health (weight, BMI, cholesterol, resting heart rate, blood pressure, etc.) Why shouldn’t we be looking at our businesses similarly? When thinking about the health of your business, here are four areas to review when assessing. Numbers – Of course I have to start here. Do you know if you are profitable? Do you know which of your services, products, and clients are more or less profitable? Do you know what your cash flow need looks like? Do you know what your customer retention rate is? And the lifetime value of a customer? These are all great starting points, and we’ll dive deeper in the coming months. Customer Satisfaction – Do you know what your customers are thinking and saying about you? Are they happy? Thrilled? Or are they liable to jump ship as soon as there’s another alternative? Are there other products or services that you could be providing them? Are they referring you to their peers? Talk to you customers, or rather, listen! Team – Do you have the right people on your team? Are they in the right roles? Do you have a stellar assistant or number two that can take much off your plate? Are your people growing and learning more about your business? Are you delegating effectively? Without the right team in place, you can’t grow your business and keep your customers satisfied. Having the right team makes everything else possible. Mission/Purpose/Brand – Do you know why you’re in business? Yes, you’re delivering a specific product or service, but what do you hope to achieve by delivering that product or service? What’s important to you in achieving that? I’ve lumped these three different topics into one for a reason – they are what make your company stand out. If for example – if your mission is to make financial forecasting accessible to any small business owner, you’re going to use basic English in your communications – not a bunch of financial gobbledygook. You’re also going to offer a reasonably priced product and not something that costs a mint and needs a team of IT specialists to “implement”. If your mission is to educate the world on the benefits of sustainable farming, you’re going to be investing in programs that further your goals and not just selling the fruits (and vegetables) of your labor. Keeping your purpose in sight lets you make decisions that are consistent and authentic to who you are. 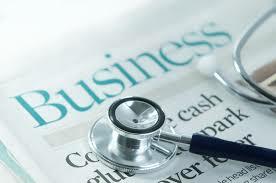 These are just a few ways to assess the health of your business. Besides numbers, customer satisfaction, team, mission, purpose, and brand – what other areas do you look at when observing your business’s overall health? As we plan to dive deeper into these topics each week, it’s important to try and answer these questions for the upcoming year. Making your business strong in all areas will help with the financial and overall success.